Likhi ghazal dikhayi deti hai. Jaise afaq pe ishq likha ho. Chhupa ek hi naam hai. 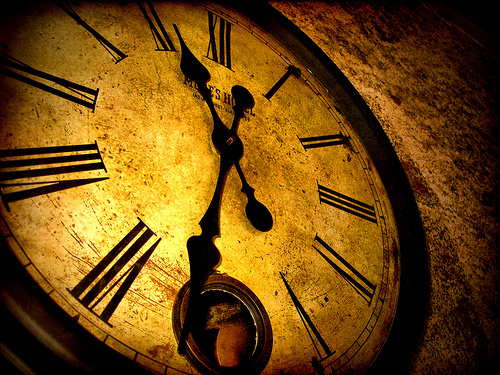 The relativity of Time is a well-known phenomenon, experienced by everyone at various stages. It is an oft repeated saying that time is running or dragging at a snail’s pace. Why is it that Monday to Friday feels like a lifetime, and Saturday and Sunday feel like the blink of an eye? Why is it that hours of sleeping feels like seconds and seconds of boredom feels like hours? Why is it that a bad movie feels like it will never end and a good one seems to have ended too soon? And pray, why is it that time with someone you love feels like it is never enough and moments waiting to meet them feels like an eternity has gone by? While these questions are interesting to think about, what intrigues me most about Time are the lessons it teaches us about people in our lives and the natural process of elimination that is brought with it. It is rather fascinating that no amount of insight or closeness or understanding really tells you who are the people who will be with you through the highs and lows of life, and it is only over a period of time that you realize who you can truly depend on to be with you forever. A wise old man once told me about this elimination process. It was one of those times when I felt betrayed and dejected about people around me and felt insecure about everyone in the process. I did not know whom to trust and whom to consider my well-wisher, nor did I have any idea as to who will be by my side through my worst times and who will leave. The wise man came to me, and told me to just wait and watch, and no amount of thinking or worrying would ever be able to answer these questions and it only through time that I will know who my real friends, who will stay over time. Those that do not stay, were not meant to be in my life in the first place, and through this natural process of elimination everyone who is not needed in my life will naturally go away. Time alone will tell. Today when I look back, his words make perfect sense. The people who have stood the test of time truly belong to my life and all those fears and insecurities have vanished. The good and bad times have come and gone, and those who have stayed have earned their place in the scheme of my life, and are here to stay. Time alone was enough to determine this fact, and no amount of introspection or insight into those relationships could ever give me any more knowledge or understanding about how these bonds would pursue. Time passed makes me realize the perishability of human interactions and I find comfort in the fact that it is not in my control or anyone else’s. Have to end with a poem by Robert Frost, which sums up the phenomenon so very aptly. But only so for an hour. I have noticed, and it has often perturbed me, that people use the words Marriage and Wedding inter-changeably. I guess it is because, when translated from Hindi, the word “Shaadi” is used commonly to imply both meanings. To put it simply, Marriage is the union of two individual where interpersonal relationships between the individuals is acknowledged legally and socially, while Wedding is merely the ceremony where two people are united in the institution of marriage. The word, “Shaadi” has implications in both senses, and it is used to describe the ceremony as well as the institution of matrimonial alliance. I am not exactly a linguistic prude to be pointing out such differences randomly. I raise the point because the implications of those two words are going to impact my life so drastically in the next few months. Being the typical Indian girl, I have been brain-washed by society, family, friends, Bollywood, music and other cultural factors to know that Marriage is a big deal, and more importantly, the Big Fat Indian Wedding Day is the most important day of my life. No pressure. In the madness of arranging an Indian Wedding, where everything from the clothes, venue, jewelry, gifts, transportation, accommodation, invitation, has to be taken care of with meticulous precision, it becomes quite a task to organize everything in the best way possible.The Wedding is a giant, blocking anything else from sight and has to be given utmost attention and time. What I realized a while back though, was that I was so involved and concerned about the Wedding that I did not have the time to give enough thought to the Marriage. I suppose that is natural, as the objects which are nearer seem bigger. It’s all about perspective after-all. But still, it struck me suddenly one day, that hello, there is something beyond the Wedding too. There is a new life, new changes, a new person to live with, a new and I have absolutely no idea how to handle any of it. Marriage is about understanding, and that primarily comes from knowledge of each other, from time spent together. From the telephone conversations with my fiancé, all that I can get to know about him, I have gotten to know already. But how much can you really get to know? I mean, there are things you only learn when you live with someone, and the only people who have really known those things about me, are my parents. Like, how I set my alarm clock 30 minutes before I actually have to get out of bed, and snooze it for all that time. Annoying yes, but that’s just what I do. Or, a small thing like how I eat everything with a fork, as opposed to a spoon, like people in most Indian households do. Or other small things like what side of the bed I sleep on, how long it takes me to get ready, the kind of food I like, what are the small things that give me joy… I realize that he will only get to learn about these little nitty-gritty details once I live with him, and the same goes for me. I am yet to discover these small things, which makes him who he is. Marriage, to me, is about the little details, the beauty of the institution is in the happenings which would go unnoticed by an outsider. So, while I am looking forward to the wedding, what excites me more is the prospect of finding love in the details. It may sound strange coming from a bride-to-be, but more than the new clothes and the jewelry and the shopping, what excites me more is the fact I will be getting to know and live with someone, who will understand me better than anyone else. While I am looking forward to the celebrations, the singing and dancing, I am more thrilled about spending hours talking to someone, who wants to get to know me as much as I want to know him. I am thrilled about the fact that I will have my closest family and friends to make my Big Day special, and I am even more elated that I will have a lifetime of companionship and share a life with someone. Guess it's true what they say, God is indeed in the Details. or precious treasures of a prosperous king. or luxury fit for a reigning queen. or those rare antique goblets of milk. filled with love, from head to heel. and not a moment, not a day apart.